Telstra has turned on LTE broadcast (LTE-B) technology throughout its network, enabling real-time data to be multicast to all users on a cell site instead of each user requiring a separate stream. The main purpose of the technology is to minimise the network load of popular, bandwidth-intensive real-time video content, but it can also be used to distribute software updates, and for preloading of video content for later viewing. 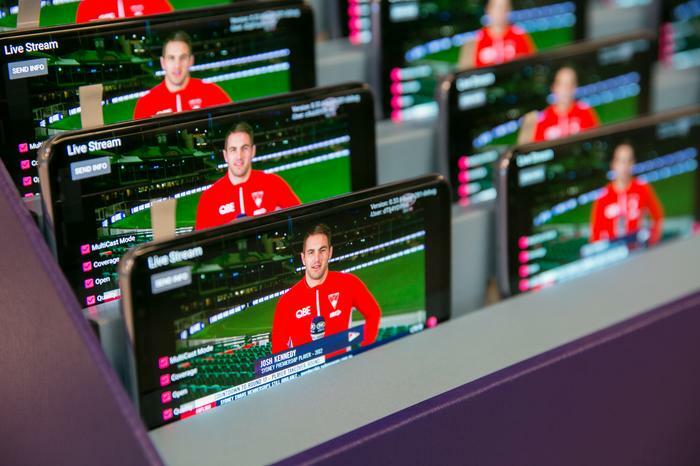 Telstra demonstrated LTE-B at its launch with more than 100 Samsung Galaxy S8 and Galaxy S9 devices showing simultaneous high definition content from the Telstra AFL app using LTE-B while a second batch displayed the same content via unicast, with degraded quality as a result of the load they placed on the network. Initially usage of the service will be limited by handset support. The only handsets currently supporting LTE-B on the Telstra network are the Samsung S8 and S9, and while future handsets will support LTE-B natively these require an app, and the only app available is Telstra’s AFL app. Telstra says more devices and applications will be added over the coming months. Telstra’s group managing director networks, Mike Wright, said Telstra had 1.2 million users of its AFL app, and all network users would benefit because LTE-B usage for the AFL app would free up network capacity for other traffic. “Weekend traffic from the AFL Live Official app on Telstra’s network has grown three fold since 2016 and has peaked this year at 143Gps – this would represent the entire network capacity of some wireless networks in the world,” Wright, who announced his departure from the telco earlier this week, said. He said LTE-B support for the AFL app had been developed in collaboration with Samsung and Expway, which supplied middleware. “Now we have the processes in place we will continue to evolve future apps and work with other companies on how we enable this capability. Wright said part of Telstra’s aim in being one of the first to offer LTE-B was to stimulate vendor support. In April Telstra founded the LTE Broadband Alliance along with Verizon, KT and EE to facilitate the development of an LTE-B ecosystem. Without MooD a dedicated portion of each cell’s capacity must be permanently allocated to LTE-B, making that capacity unavailable for normal traffic, and making the business case for LTE-B much less attractive. The MooD feature optimises LTE-B by determining how many LTE-B compatible devices in any given area are consuming the same content and activating or deactivating LTE-B to maximise network efficiency at each location. MooD works hand-in-hand with another feature, service continuity, that enables devices to move in and out of LTE-B coverage areas without interruption to the video being viewed. 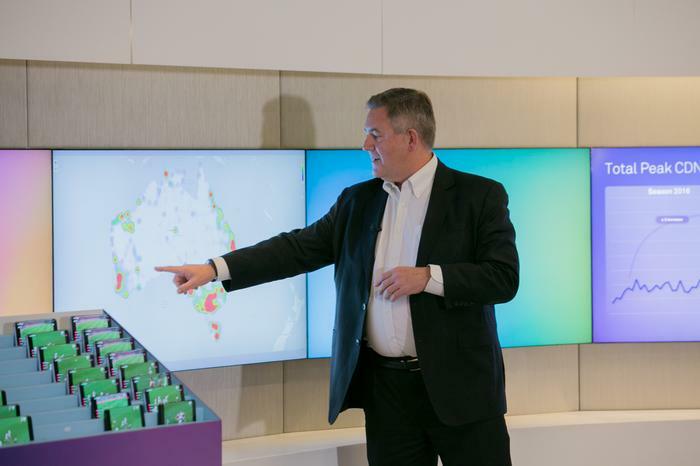 Telstra is one of the first mobile operators in the world to launch a commercial LTE-B service. According to the Global Mobile Suppliers Association (GSA), in March 2018, 39 operators had invested in demonstrations, trials or deployments but only five had launched commercial services. The GSA’s LTE Broadcast Market update listed eight handsets that had been used in LTE-B trials: three from Huawei, one from LG, one from Motorola, and three from Samsung: the Galaxy Note 3, Galaxy S5 and Galaxy S6. The GSA report said the nascent LTE-B device ecosystem could be boosted by Google’s announcement in 2017 that it had added support for LTE-B to its Android open source project and to Android 8.1. LTE-B is a prerequisite for another LTE service: push to talk that effectively turns a mobile phone into a two-way radio for a closed user group. It would be particularly valuable to emergency services and would complement Telstra’s LANES service that gives emergency services organisations (ESOs) priority access to network capacity.